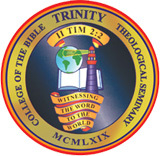 Trinity College of the Bible and Theological Seminary is an online institution of higher education specializing in teaching working pastors, lay people and church members. We provide flexible, focused, practical education that helps our students grow deeper in God’s Word and their ministry to others. Our coursework is done from anywhere you have an internet connection, be it from your own home or office, out in the field doing ministry, even ministering to people on the other side of the world. 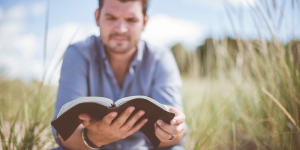 Our subjects include Biblical Studies, Christian Philosophy and Apologetics, Pastoral Ministry, Conflict Management, Christian and Nouthetic Counseling, Leadership and Management, Theology, and many other subjects related to Christian ministry, teaching, preaching, and philosophy. If you have ever felt God’s call to learn more, or the higher calling to ministry, Trinity is the place for you. At Trinity, we have a flexible program that is rigorous and practical. With 50 years of experience in distance education, Trinity can help you achieve your educational goals, and still let you stay where you are in your life and ministry. To find out more, just fill out the “More Information” form on this page, or give one of our admissions advisors a call at 1-800-457-5510. Open your life to the commanding power of God’s Word.